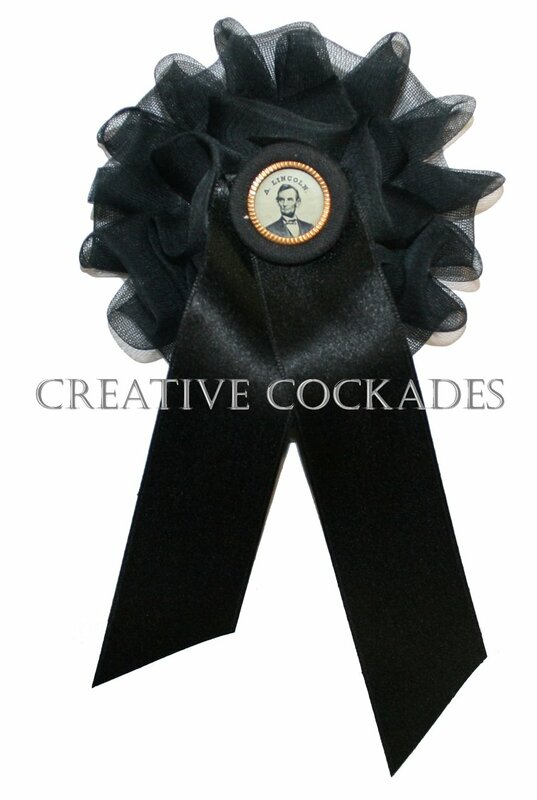 Beautiful hand-sewn black silk organza mourning badge with a reproduction Lincoln ferrotype button in the center. Period correct buckram backing. The rosette is sheer silk and the pendants are solid silk, as was the original that inspired me. Dimensions: Approximately 3" (7.5 cm) across rosette. Streamers are approximately 3" (7.5 cm) long. Optional pin back is approximately 1" (2.5 cm) across. 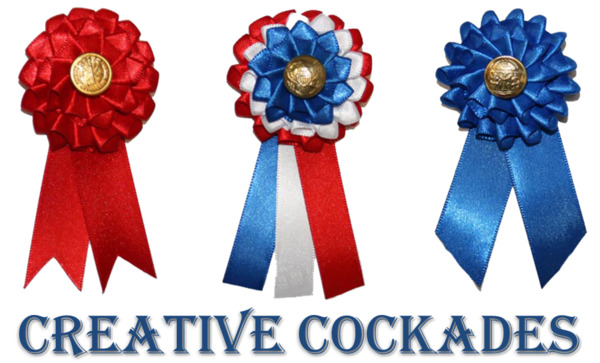 Cockades were often used in history to express a political sentiment. But they were also used as an expression of grief if one was in mourning for someone. 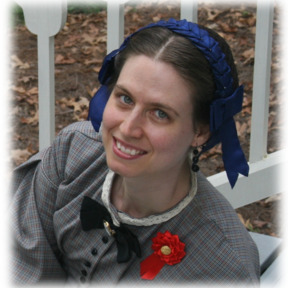 After President Abraham Lincoln’s unexpected death in 1865, Americans showed their grief publicly by wearing mourning badges, rosettes, ribbons, and buttons.